The decision empowers NeoLAB to focus on developing vital elements of its business as online retailer-marketing agency hybrid Quantum Networks directs growth and marketing operations for the brand. “We are proud to see our partnership with NeoLAB reach this new stage. Having identified and matched the NeoLAB line to its most viable market, we will now be able to raise the brand’s online presence and increase revenue exponentially," says Jonathan Goldman, President of Quantum Networks. NeoLAB Convergence Inc. and Quantum Networks have signed an exclusive partnership after NeoLAB recognized Quantum’s proficiency in marketplace management and sales growth, which led to their recent agreement. Quantum Networks - an online retailer and brand development agency hybrid - began its partnership with NeoLAB by stocking inventory, improving product listings, implementing targeted keywords to increase traffic, and creating bundles to provide customers a way to buy everything that they need. Moving forward, the new exclusivity enables Quantum’s team of advertising and branding strategists to fully optimize NeoLAB’s upcoming product listings with Enhanced Brand Content and promote feedback through customer outreach. Quantum’s management of NeoLAB’s Amazon presence would give the brand freedom to focus on other aspects of their business. “Our relationship with Quantum Networks allows for us to concentrate on outbound activities and extending our brand to the world, while they use their expertise in managing and dealing with all aspects of e-commerce channels on our behalf.” says Stephen Dix, VP of Sales and Marketing at NeoLAB. 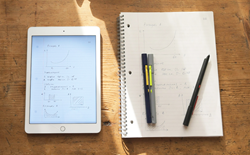 The first product launching under the exclusive partnership is the Neo Smartpen M1, a digital productivity tool that has the ability to convert natural handwriting into digital text. The Smartpen M1 and its predecessor, the N2, are both recipients of the International Forum Design Award, a prestigious recognition of design excellence. The M1 features faster and more precise writing recognition, improvements in design and battery life, as well companion apps for iOS, Android, and Windows. NeoLAB Convergence Inc., the creator of Neo smartpen N2 and sound pens, is an award-winning designer and developer of digital pens using its patented Ncode™ technology for the consumer, education and enterprise markets. Established in 2009, the company has been working with educational publishers worldwide to bring paper contents to life with digital technology. The company is headquartered in Korea and have offices in the U.S., Australia, Japan and Taiwan. Quantum Networks LLC, an Inc. 500 list member, is a New York City-based online retailer. The company sells innovative products through the world’s largest online marketplaces and its flagship website, blucoil.com. Navigating the nuances of online marketplaces is a complex process for brands. As experts in the field, for every brand it partners with, Quantum Networks effectively and efficiently executes the customized go-to-market strategy and with the brand’s individual message in mind. Quantum Networks works closely with brands being funded through Kickstarter and Indiegogo, accelerating their launch and growth across various marketplaces.